Vijender, who defended his WBO Asia Pacific and Oriental super middleweight belts last month, could next be seen in action in April next. Indian boxing star Vijender Singh has risen four rungs to sixth in the latest WBO rankings for the super middleweight category. 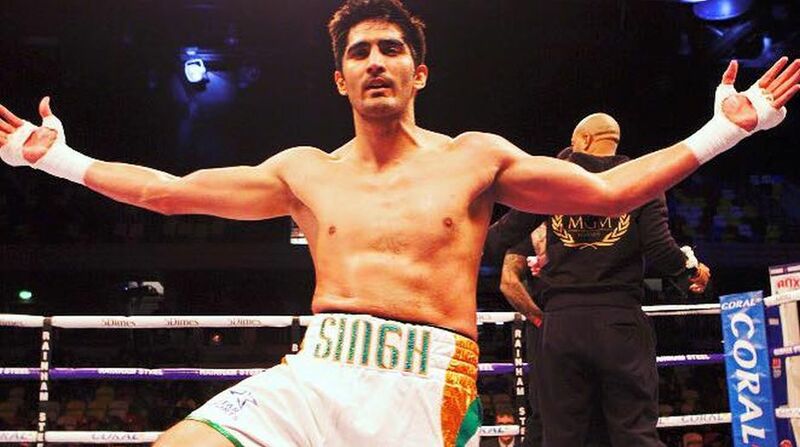 Vijender, who successfully defended his WBO Asia Pacific and Oriental super middleweight belts against Ernest Amuzu of Ghana last month, could next be seen in action in April next. He is likely to challenge for the Commonwealth title to add to his belts. The WBO super middleweight rankings are topped by Jesse Hart, the American super middleweight champion, followed by Brit Callum Smith. Smith, a 2010 Commonwealth Games silver-medallist, held the European, British, and WBC Silver super-middleweight titles from 2015 until last year. Following him in the fourth place is another Brit in Rocky Fielding. Fielding is the reigning British and commonwealth champion and former WBA Inter-Continental super middleweight champion. He is also a former Commonwealth and English super middleweight champion.